Keep Your Resolution with Bowling! No matter whether your new year resolution was to spend more time with your family and loved ones, get in better shape, master a new technique or skill, or just to improve your game, Richmond 40 is here to help you make 2019 your best year yet! Family Time – Resolve to spend more quality time with your loved ones. The key here is quality over quantity. It is too easy to fall into a routine of just sitting around watching TV with your loved ones. Instead, engage with them in an actual game or activity like bowling! The friendly competition and interactivity make for a nice change of pace and is perfect for making lasting memories. Get in Shape – The “get in shape” resolution hardly ever works because it’s too vague. Instead, pick a fun physical activity that you can stick with. 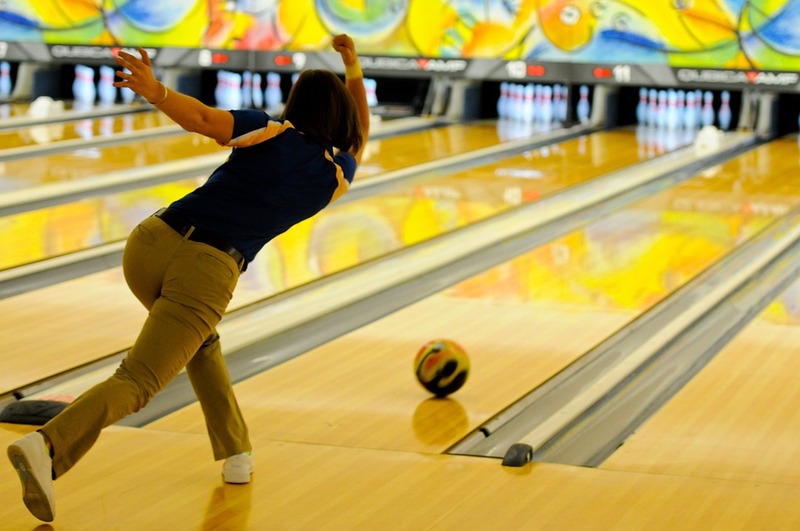 There are numerous health benefits of bowling including improved flexibility, balance, and hand-eye coordination. It also burns around 175-300 calories an hour while toning shoulder, arm, chest, and leg muscles. Not to mention that it’s a physical activity you do regardless of weather conditions. Learn a New Skill – Whether you’d like to expand your horizons, or simply improve your game, Richmond 40 is here to help! Our Richmond bowling lessons are a great way to seriously improve your game or to get started learning the basics of bowling. So make your 2019 resolution something you’ll actually enjoy! Bowling is great exercise, a wonderful social activity, and it’s fun. Check out our upcoming Richmond events and make your plans to visit our wonder Richmond bowling center today!